The Canadian province of Ontario generated a higher percentage of its electricity with wind energy than California in 2015. According to an analysis by Glen Estill at his Wind Blog, Ontario produced 10.1 TWh of wind-generated electricity in 2015. This is equivalent to 7.5% of Ontario’s consumption of 137 TWh, according to Estill. During the same period California produced 12.2 TWh of the nealy 300 TWh consumed in the Golden State or only 4.1%. Surprisingly, Ontario with only one-third the population of California produces nearly as much wind energy as the more populous state where commercial wind generation in North America began in 1981. California, which bills itself as a Green Mecca, has been commercially developing wind energy for more than three decades. 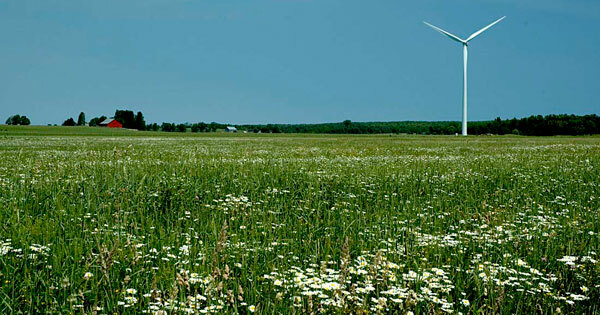 Ontario, on the other hand, is a relative newcomer with only ten commercial-scale wind turbines operating by 2003, including the now famous turbine within the city of Toronto, the provincial capital. Ontario also generates about 3 TWh per year from solar photovoltaic (solar PV) panels or slightly more than 2% of consumption. In contrast, California generates more electricity from solar PV (12.6 TWh) than from wind for 4.3% of the state’s consumption. The state also produces nearly 1% of its consumption from solar-thermal generation. There is no solar-thermal generation in Ontario, the Great White North to many Americans. The development of wind and solar energy in Ontario is one of the great unsung success stories of renewable energy in North America.